If you have a blocked drain, sewer line or toilet, you’ll be in safe hands with your professional plumber – we specialise in drain problems across Sydney each and every day. Blockages occur when materials enter the drain system that shouldn’t – grease, chemicals, hair, food particles, sand, solid matter – and they can accumulate blocking your pipes. We can help both with diagnosing the problem, removing the blockage, and help reduce the problem reoccurring. We can help you fast because we leave from MULTIPLE Sydney locations, not just one. We’ll dispatch the closest plumbing team to your location. 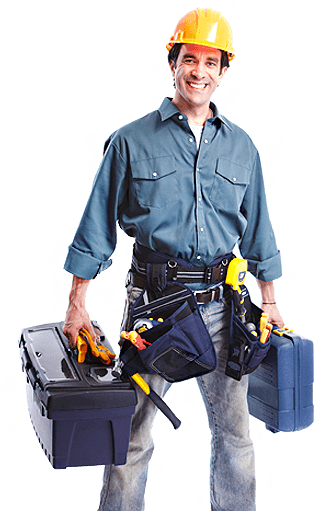 Experience professional plumbing service – on-time, clean, tidy and polite. We’ll look after all your needs. Trust is very important to us so we ensure we keep you up to date and informed throughout the process. We have the latest technology to help diagnose the source of your problem more accurately – saving you time and money. Not only that, but we can put a fibre-optic camera down your drain lines and create a DVD so that YOU can see any problems for yourself. Not only does it make for more accurate diagnosis, but it puts you in control of making an informed choice as to how to fix the problem. A step above clearing a drain is cleaning it from the inside with ultra high powered jets. When you remove a blockage you solve the problem today, but it’s easy for it to build up again, hydro-jetting the drain cleans back towards its original state, greatly reducing the chances of re-occurrence of your problems in the near-future. When you call us, not only do you get great service with the latest technology and amazing value – you get Platypus plumbing professionals, able to solve any kind of drain or sewer problem that you might have. Platypus Plumbing has a team of highly experienced plumbers – enabling us to send a plumber who has the specific knowledge and experience to complete the work right the first time. When it comes to drain and sewer problems in Sydney, you can count on the experts from Platypus Plumbing. For professional and prompt gas services or installations Platypus Plumbing are the plumbers to call. When you need a new or replacement hot water heater, we provide a range of the best systems from all of the leading brands, all expertly installed. Platypus Plumbing Services has been designing, installing and maintaining commercial plumbing systems. Platypus Plumbing Services have experience with Facilities management requiring all types of plumbing or drainage services in and around the Sydney area. Contact us and see why Platypus is the only local plumber you will need. Friendly and reliable service every time. Delivering quality Plumbing services Platypus plumbing continues to enhance its efficiency across Sydney as the new plumbing business focusing on customer service and competitive pricing. .